Yonatan Levy is a tech product management leader, author, and speaker. His products are used in industries ranging from e-commerce and financial services to social networks and and cyber security. He recently co-founded STADS Technologies, the first online marketplace for sports advertising, a platform in which a collaborative approach for teams and advertisers is encouraged. Yonatan is the author of the #1 Amazon Bestseller The Other Ideas: Art, Tech Products, and the Creative Mind. Yonatan brings creative thinking, problem solving, and innovation to life with practical knowledge and real-world experiences. 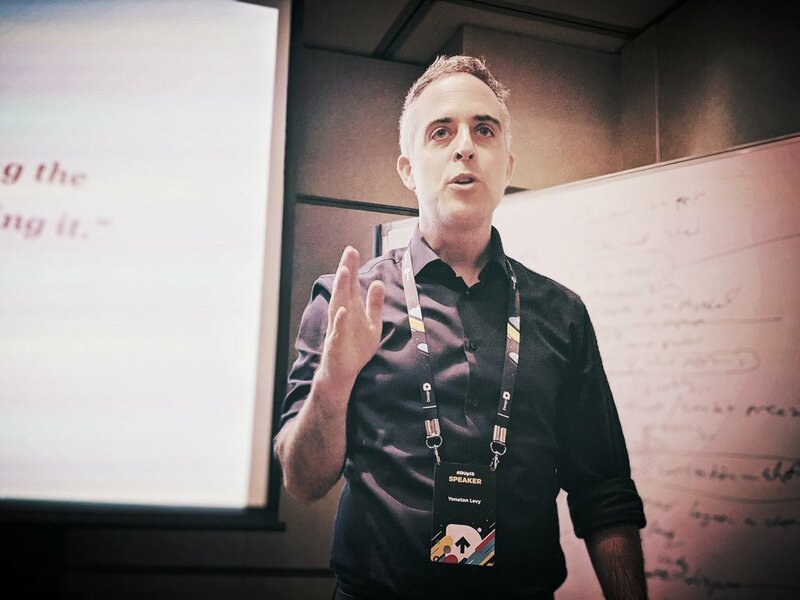 Customizing presentations to meet the needs of audiences worldwide, Yonatan leaves people energized and with concrete ways to implement new ideas. In the fast worlds of business and tech, it is impossible to understand all variables at any given time. Yet learning how to view the dynamics of change can spark creative potential. Though many view uncertain situations as obstacles for creative change, Yonathan will guide you on the path to embrace uncertainty as a tool and reach higher levels of innovation and thought. Some thought leaders believe that in order to succeed in our complex world we need to move fast and break things. But great entrepreneurs often start with a well thought out plan. It’s not that they don’t take risks, they simply choose the right risks to take. Thank you for your interest in booking Yonatan for your event. Please tell us a little more about your organization and we’ll promptly return your inquiry.